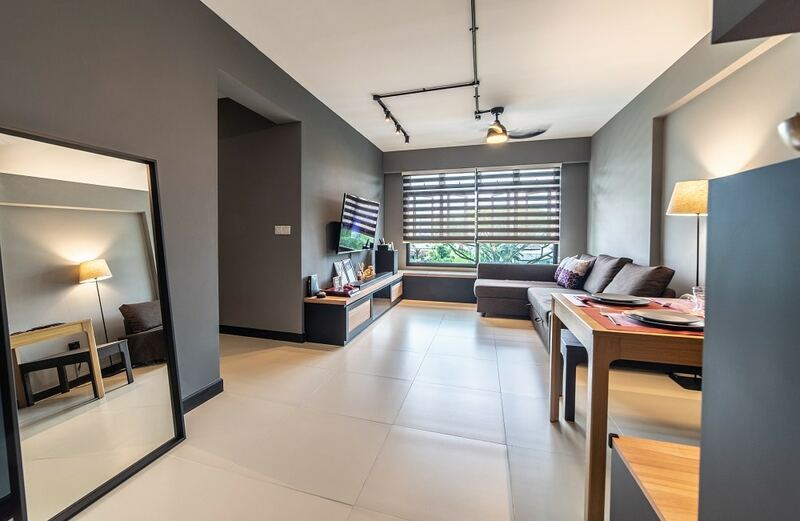 While the neutral colour scheme has risen to the top of the interior design trends, there is one colour in this palette that is preferred and loved over all the others, and that is: grey! The inherent charm and versatility of grey interiors makes then a total fan favourite. You can match them up with a number of textures, materials, and lighting arrangements with ease, so let’s take a look at 5 ways you can own this scheme! At its core, the grey colour has a very cool appeal, which is why it blends well with warm hues and textures. 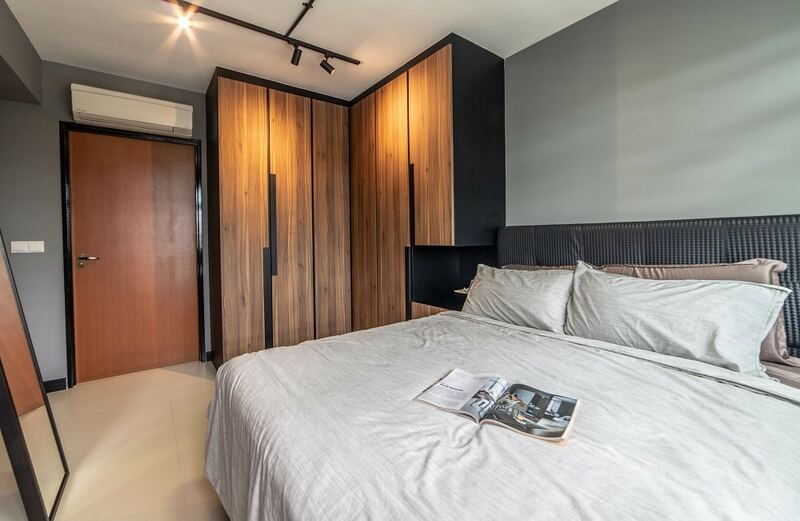 If you look at the bedroom in this image, you’ll see that you can get a totally trendy look by pairing it up with wood. 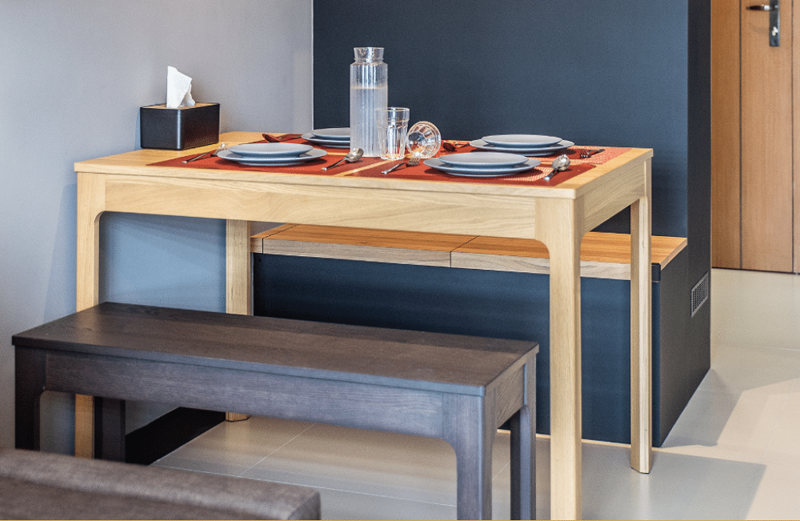 Even if most of your space has been done in plain greys, just a hint of contrasting wood textures can help you spice it up and make it all the more interesting! All shades of grey go really well with black! 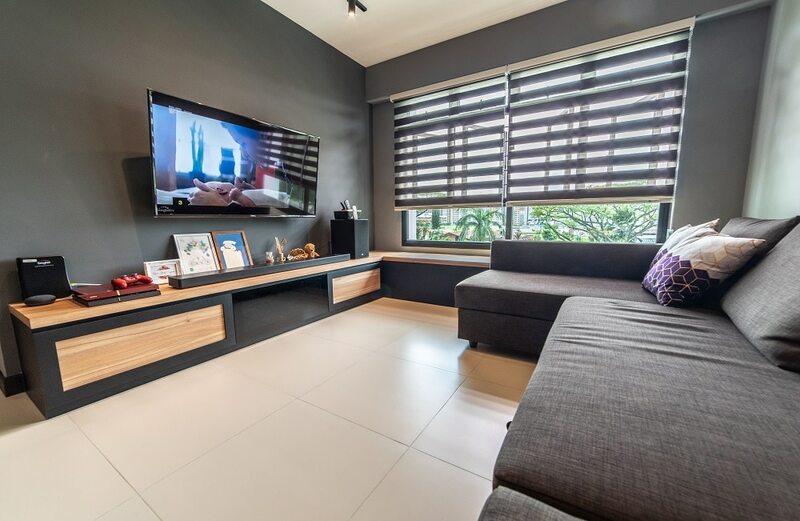 In fact, if you want to add a charismatic aura to your grey themed interior designs, the best way you can do so is by accenting it with bold black textures. 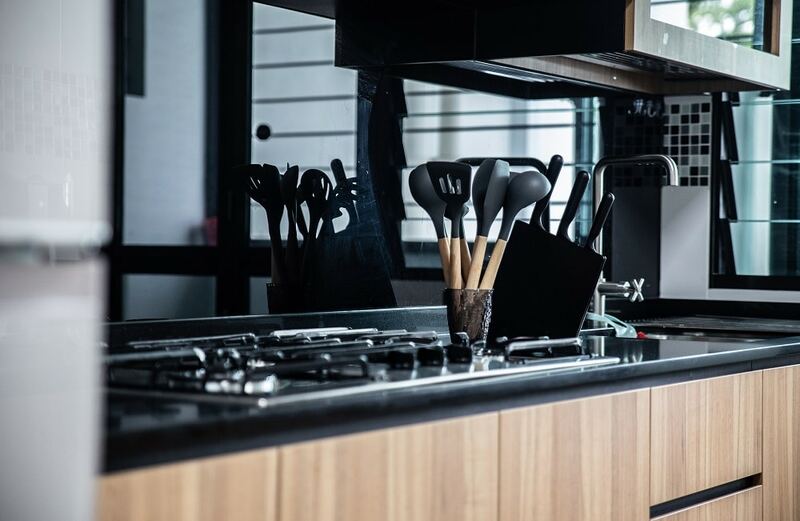 You can decide on matt or gloss depending on the overall quality of your space, but the glossy backsplash and countertops in this image are an excellent example of how you can do it. Grey colour looks especially gorgeous when complemented with warm lighting. This aspect can give you a lot of room to experiment with different light fixtures. For example, floor lamps make a great halo of warm lights, but the spots from track lighting are just as impressive. Similarly, you can go all out with statement chandeliers, pendent lights, and even wall lights to match your overall theme! Grey interior designs have this versatile quality that allows them to make a great backdrop for all kinds of accent furniture. From wood to acrylic to even various kinds of fabric upholstery, you can match it up with anything and everything. So, don’t be afraid to let your imagination run wild! Natural light is a permanent fixture in every home, so obviously your colour scheme needs to pair well with it. All shades of grey pair well with natural lighting so this is another thing that you can take advantage of!